As the days start to lengthen and the snow drops are full in bloom we know the joys of spring are just round the corner, making it a perfect time to spring into action at The Cornfield Project. Today, Tuesday 1st March, The Conservation Volunteers (TCV) will be leading a keen group of Year 12 students from Dunluce School in a Crown Lifting Activity. 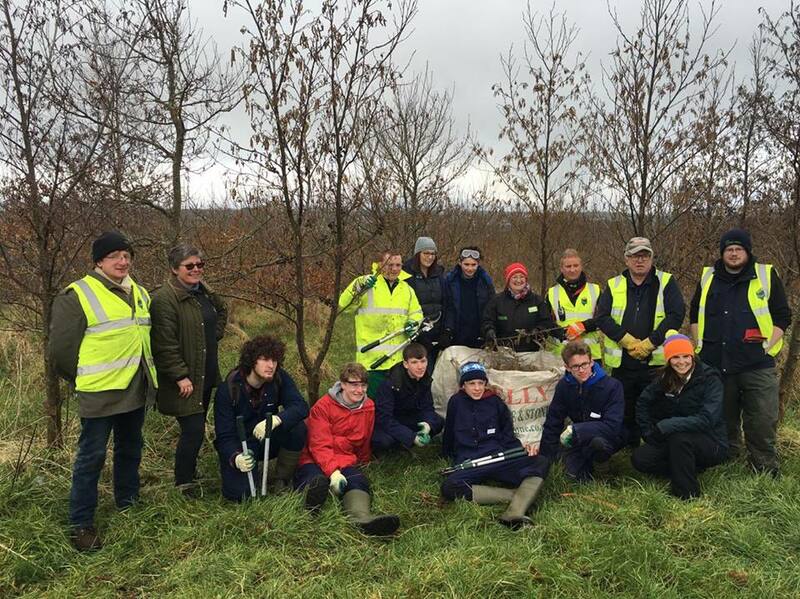 Kenny Henry, Senior Project Officer at The Conservation Volunteers, said “TCV Coleraine are delighted to be involved in The Cornfield Crown lifting Task; engaging with local residents and schoolchildren. The purpose of this task is to enhance the aesthetic appearance of the woodland and increase the flora and fauna of the woodland floor whilst improving access for the local community and residents to enjoy their outdoor experience”. The event started at 10am with 10 students who are currently studying horticulture arriving and being briefed on their activities for the day, including lessons on how to use loppers, pruning saws and secateurs. A special thank you goes out to Leanne Abernethy from the Active Communities Network Ltd (Supported by the Asda Foundation) who has supported the event by providing transport and lunch at the Building Ballysally Together Healthy Eating Café. To find out how you can get involved please contact catherine@thecornfieldproject.co.uk , or follow our Facebook page www.facebook.com/thecornfieldproject for further information on upcoming events!